Play world class golf and drink world class beer. Tick a Tasmanian golf experience off your bucket list. This tour is ideal for those looking to discover some of the best Tassie has to offer, both on and off the green. Pick up your vehicle at the airport and follow our recommended itinerary, or decide which sites you'd like to stop at along the way. You'll be enjoying an exceptional golf experiences, visiting the finest breweries, staying at hand-picked accommodations, and playing on some of the most historic and stunning courses in the world. Visit the Cascade Brewery for a Brewery Tour after playing 18 holes at the spectacular Tasmania Golf Club. Visit and play 18 holes at Australia’s oldest golf course and enjoy the beautiful sights surrounding you. Spend 2 days at Barbougle playing on some of the best courses in the world, The Dunes and Lost Farm. Start your journey discovering Tassie’s largest city, Hobart. Enjoy 18 holes at the Tasmania Golf Club then relax at the Cascade Brewery for a tour and tasting. Play 18 holes on Australia’s oldest golf course. Play a round on Australia’s best 9 hole course and then explore Launceston and take the James Boags Brewery Tour. Play 18 holes at Barnbougle Dunes and witness breathtaking scenery. Play 20 holes on Lost Farm and rise to the challenge! Head back to Launceston in preparation for your departing flight. Arrive at Hobart Airport and pick up your full size automatic rental car (includes insurance, fees and taxes and excess reduction to $330) and drive to your perfectly located accommodation. Spend the morning at your leisure exploring the waterfront/Salamanca areas. In the afternoon, drive up to the summit of Kunanyi/Mount Wellington. 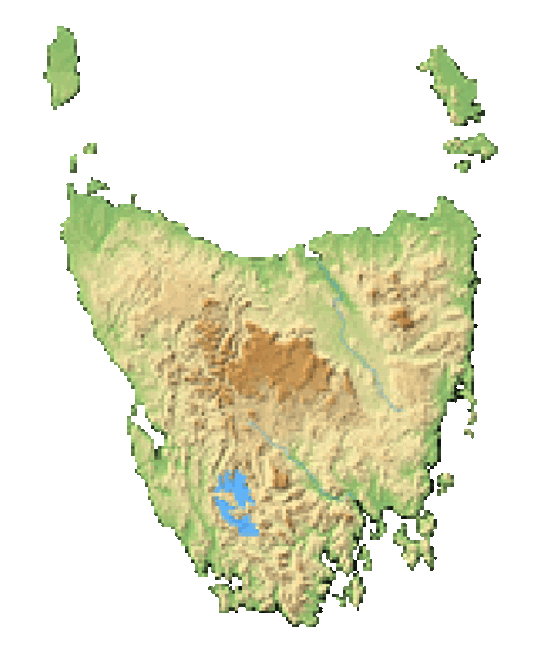 It offers spectacular vistas of the greater Hobart Region, Bruny Island and down towards the South West Wilderness area. You’ll find fantastic boardwalks at various points of the summit which take you to beautiful vantage points around the pinnacle. Take off in the morning to the Tasmania Golf Club just a short drive from Hobart and situated right on the water. Bounded by water on three sides, the spectacular Tasmania Golf Club is situated on the picturesque Barilla Bluff. You have 18 holes here to start off your golf experience! That afternoon visit the Cascade Brewery for a Brewery Tour. Step back through Cascade’s history then go behind the sandstone facade to view the workings of this unique brewery. You will hear about the ingredients and craft behind our beers and finishing with a great tasting experience. Take a scenic drive today to Ratho Farm. It is Australia’s oldest golf course, and the oldest remaining outside of Scotland. Play 18 holes here on the historic course and enjoy the beautiful sights surrounding you. NANT Distillery is close by for any whisky fans and there are lots of scenic walks and hikes in there area too. Dinner is a 3 course meal at your accommodation at Ratho Farm. You will spend the next two days playing on some of the best courses in the world! The Dunes is an 18 hole course and is 2nd in Australia and 11th in the world ranking. The Dunes is a Links Golf Course unlike any other in Australia. Meandering along Tasmania’s dramatic North East coast, it’s where breathtaking scenery and thrilling golf truly come together. Despite their close proximity, Lost Farm is remarkably different to The Dunes. Lost Farm is a 20 hole course and is 3rd in Australia and 23rd in the world. The strategic bunkering and undulating greens combined with wide fairways make for a course that offers an exciting challenge for golfers of all abilities. Make your way back from Bridport to Launceston to return the car to the Launceston Airport with flights recommended to depart after 10am.